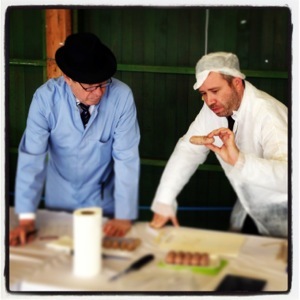 I was speaking at the Bakers and Butchers Fair in Harrogate on Sunday and I couldn’t resist popping my head into the Champion of Champions sausage competition to see how it was going! Always good to see the judges at work! 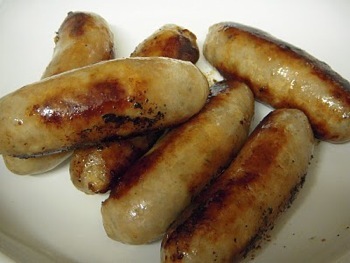 What these guys don’t know about sausages isn’t worth knowing! 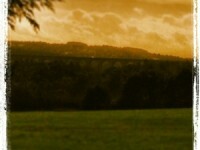 The competition is a big deal so it’s important that it’s judged to a very high standard. Also on at the same time there were some baking competitions. 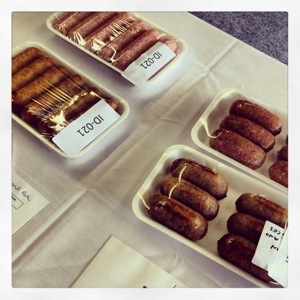 Craig won the title for his pork and leek sausage, which was carefully made to meet the standards of the expert judges. Craig is currently in the process of moving into a bigger shop, which he feels the competition has been important for, considering the great reputation that comes with the title. 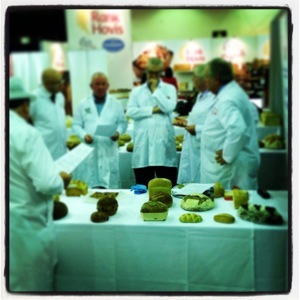 The competition was judged by Bpex’s Keith Fisher, three-times Champions winner and butcher Allan Bennett and MTJ’s current and previous editors Ed Bedington and Fred A’Court.